We're often asked by our trial users which theme they should use for their portfolio sites. Ultimately there's no right or wrong theme to use - it's about finding the layouts that show your project content off best. With Fabrik you're free to change theme as often as you like, which won't affect your project content at all. We encourage you to add your project work in first, then play with the themes and their layouts as much as you like until you hit on one you really like the look of. This can be a trial-and-error exercise, so to make it a little easier Tim built his own portfolio on all eight of our themes, using exactly the same typography and site styling - so you can see exactly how each theme handles the exact same content. We've linked them all from one handy site for you, so you'll always have a reference point when looking at themes for your own portfolio. Fabrik themes are designed to flow seamlessly through all device and screen types from mobile up to broadcast. 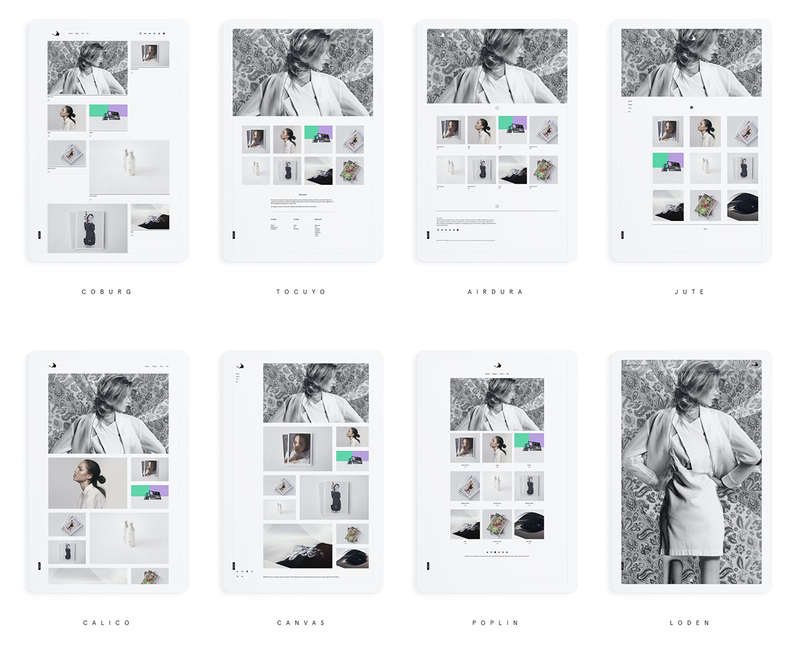 Our layouts for your homepage, portfolio lists, project pages and blog pages are all designed to highlight different types of content, or to help you find the right solution for your portfolio site; whether that has hundreds of projects, or just a few. When you switch themes your customisations are saved, so if you don't get on with the theme you've switched to, switch it back and try something else. You can edit the options for your layouts from the Customise section. Go to Customise, then Theme Layouts. In each layout group, tap the options icon over the layout you're using. Within a layout's options you'll find all the fine-tuning stuff; like what aspect ratio the layout crops your thumbnails to, how many columns of thumbnails your site uses for each type of device, how your layout controls feature and list elements, and loads of unique elements that make each layout special. You can set your default layouts from the Customise section, but you can also assign specific layouts to specific projects. When editing a project, tap on the layouts tab to directly assign a layout to that project in particular. If in doubt, play about. Enjoy the process of building your site and remember, we're always around to answer any questions you may have on how our themes and layouts work.